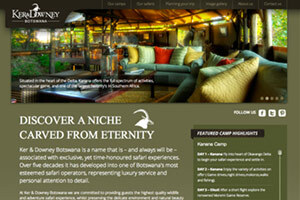 "Old style Botswana safaris with a touch of comfort and a lot of fun." 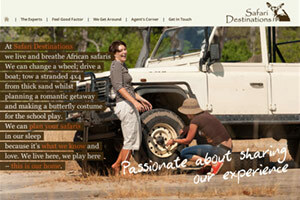 Audi Safaris is a premier safaris operator based in Maun, Botswana. 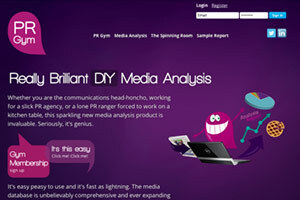 Our brief was to create a bright and colourful website that creates an inviting experience for the user. 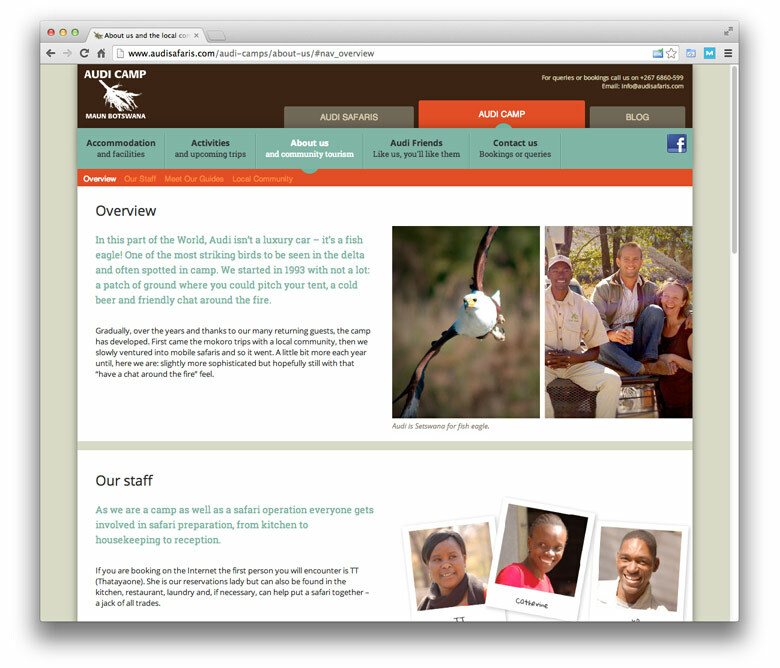 The main information pages of the website are long scrolling web pages with a hovering menu to aid navigation. 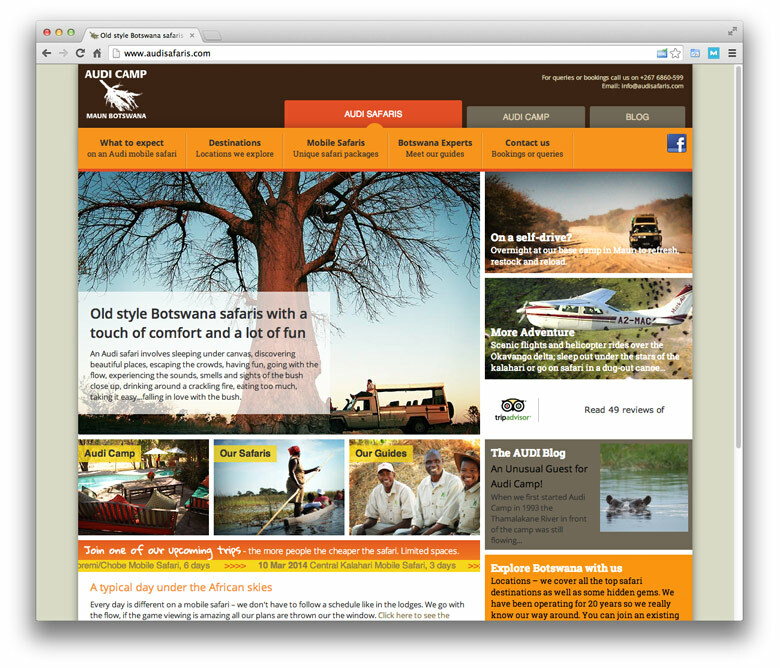 The site also has a custom login area to manage safari discounts and bookings. 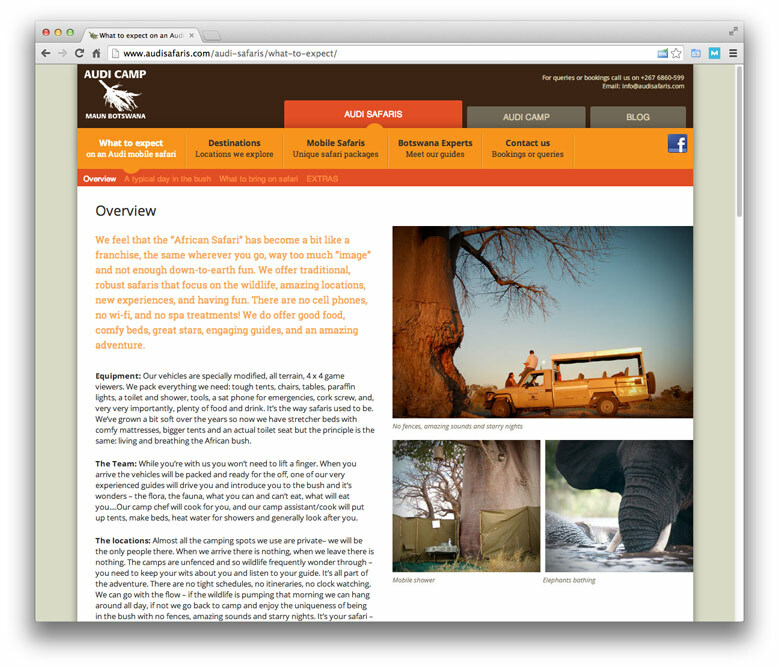 A custom wordpress blog is also perfectly integrated to look like the rest of the website. 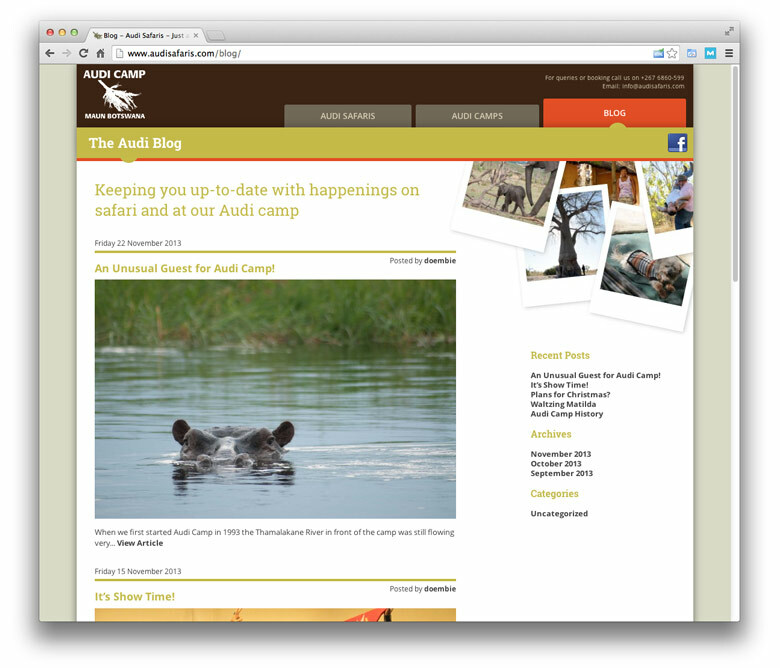 Check out Audi Safaris at www.audisafaris.com.